Tip your hat to JUMP! this Holiday Season. Organized by Hats off to JUMP! 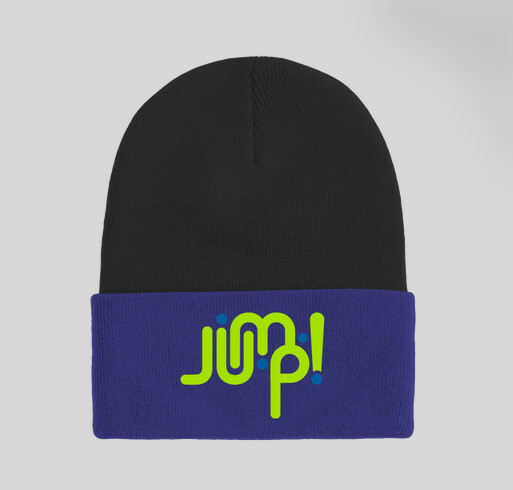 or really, Hats on for JUMP! All funds raised will go directly to Mike Beery Memorial Childrens Fund for the Jump! Playground Project . We have raised nearly $50,000 toward our $300,000 goal to bring the first accessible and inclusive playground to Jefferson County. In case you missed out on t-shirts or hoodies on our first campaign, we are offering this time-limited opportunity to get more JUMP! gear. Be the first to grab a JUMP! hat. They would make great gifts and help us raise more money and spread the word for our new playground. Thanks for your support! The realization of this project at HJ Carroll will add an important dimension to our community. Creating accessible places for children of all abilities to play and socialize benefits all of us!!! A very worthy cause! Differently-abled kids deserve this kind of fun. Our kids and families deserve more playgrounds, especially one where all kids regardless of abilities, can come together to play! Share Why You Support "Tip your hat to JUMP! this Holiday Season."